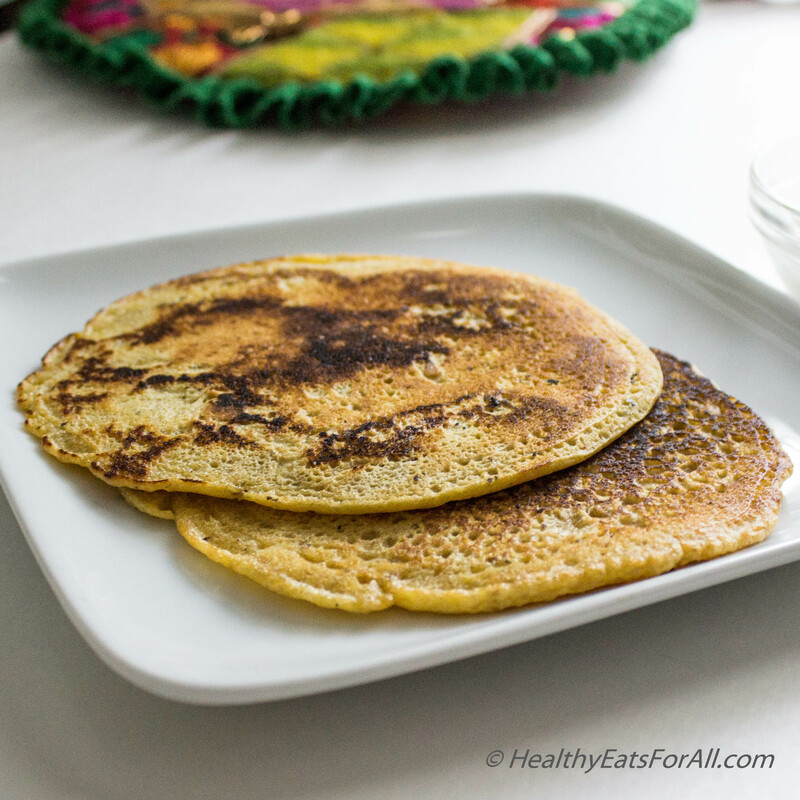 One of my favorite breakfast dishes growing up was the Besan poode (also called Chilla). 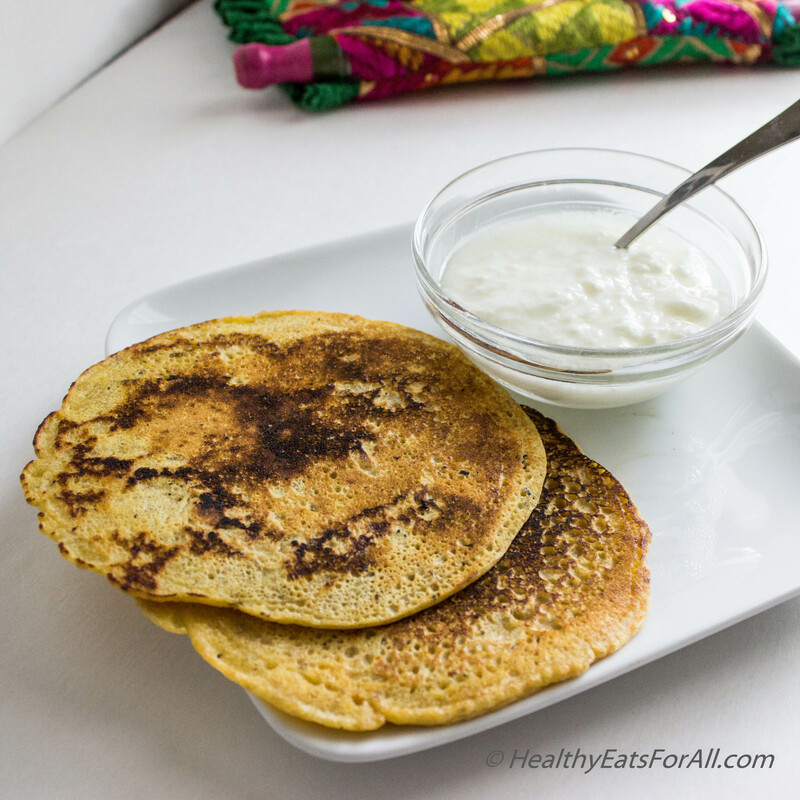 Just like pancakes with syrup are a popular choice for breakfast with kids and adults alike in the West, these savory versions of pancakes are popular in India. 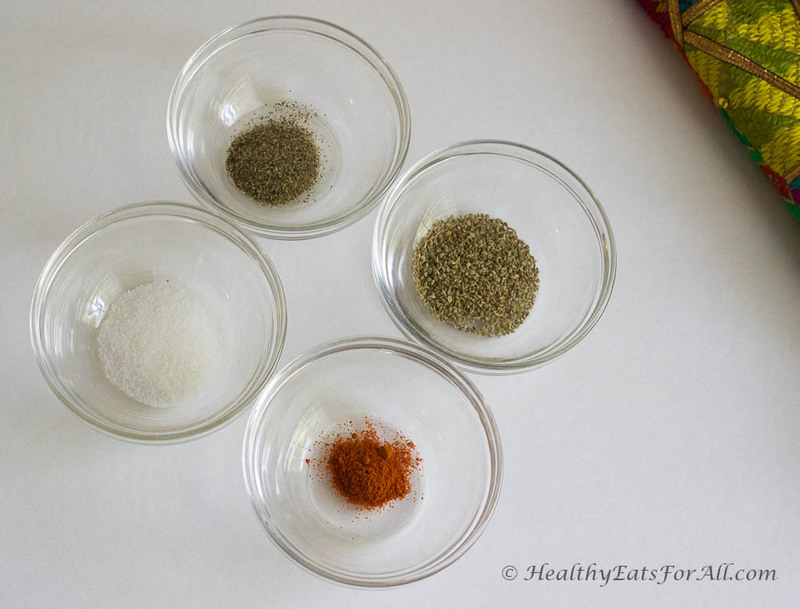 Depending upon which part of India you are from, the seasonings/additional ingredients might vary. Ajwain (Carom seed) is a seed that is added to the batter in Northern parts of India. It is completely optional. The purpose of adding this is for good digestive health. The recipe I have made today is a basic, simple one which is made in our house. 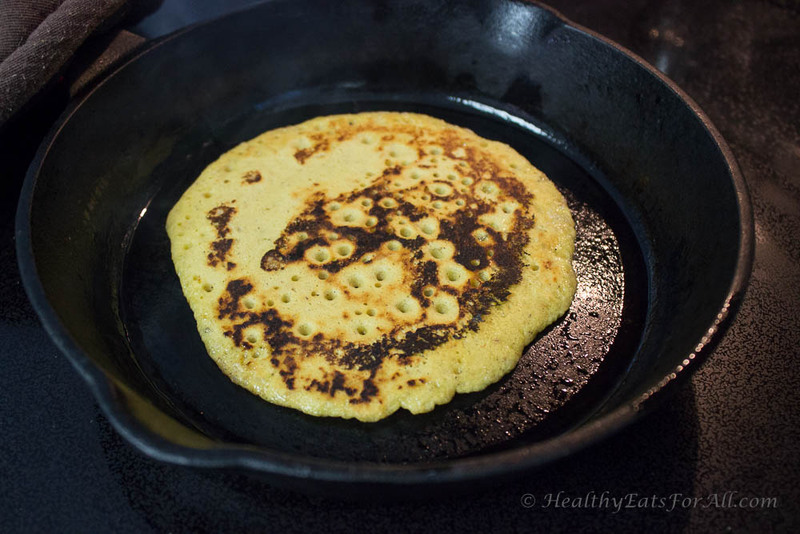 Flax is the only extra ingredient that I add to increase its protein and fiber content. 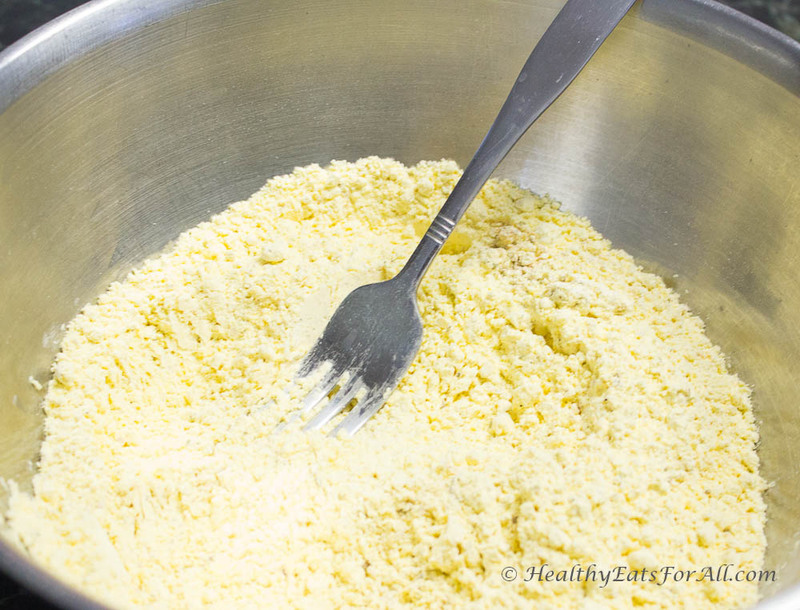 Sometimes to increase the protein content even more, I add 1-2 egg whites to the batter as well. But if you are a vegetarian, you can omit that. You can enjoy these with tomato ketchup or mint/coriander chutney. Some people even treat it like a vegetarian omelet and have it with a slice of bread. Anything goes! My personal favorite combination is to have it with a bowl of plain yogurt to make it even more nutritionally complete. 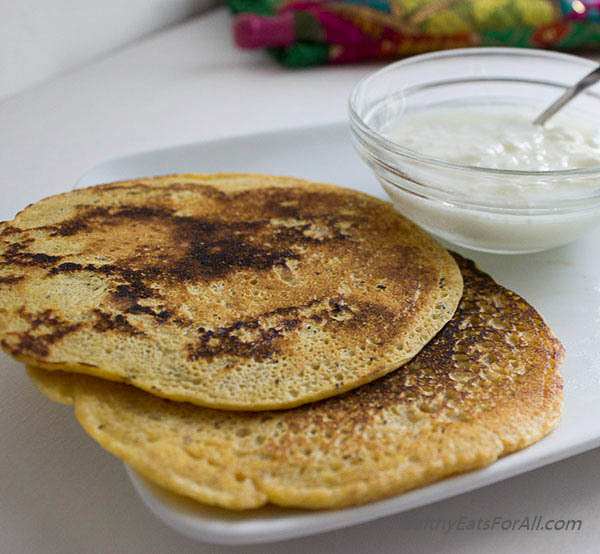 So go ahead and try these besan poode to add some variety to your breakfast menu! 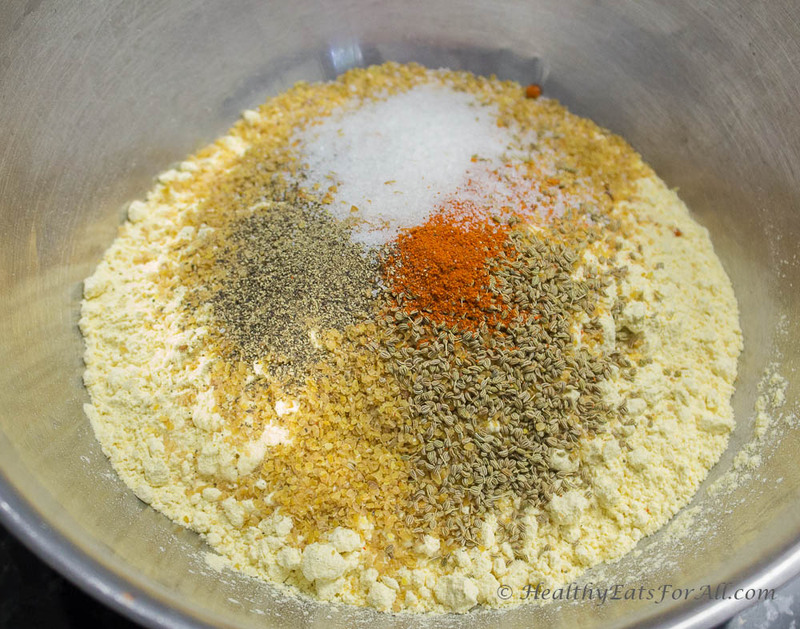 Add the Flax and dry spices to the Chickpea flour. Add the water and using a whisk mix the batter till no lumps remain. Batter should be of medium consistency, pourable like pancake batter. Not as thick as cake batter. Add the diced onions and green chilies at the end in case you like them. 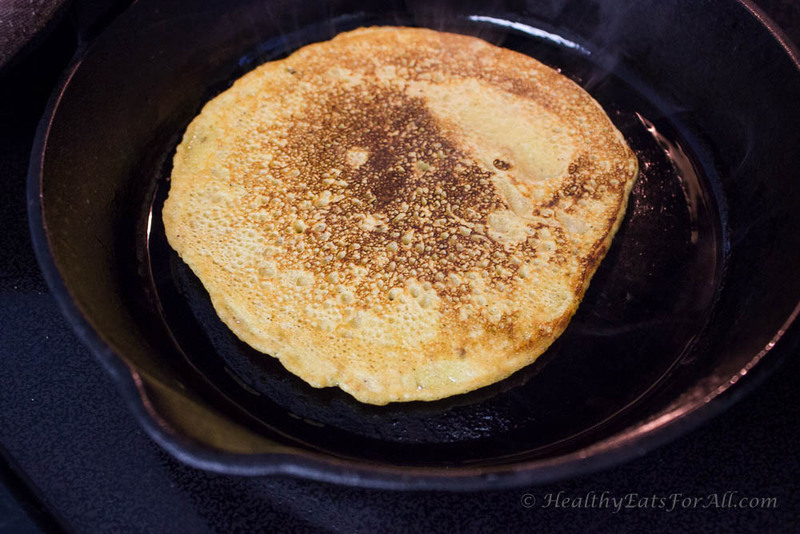 Warm the cast iron griddle or non-stick pan. Add a little bit of oil and make sure it coats the entire surface of the pan. 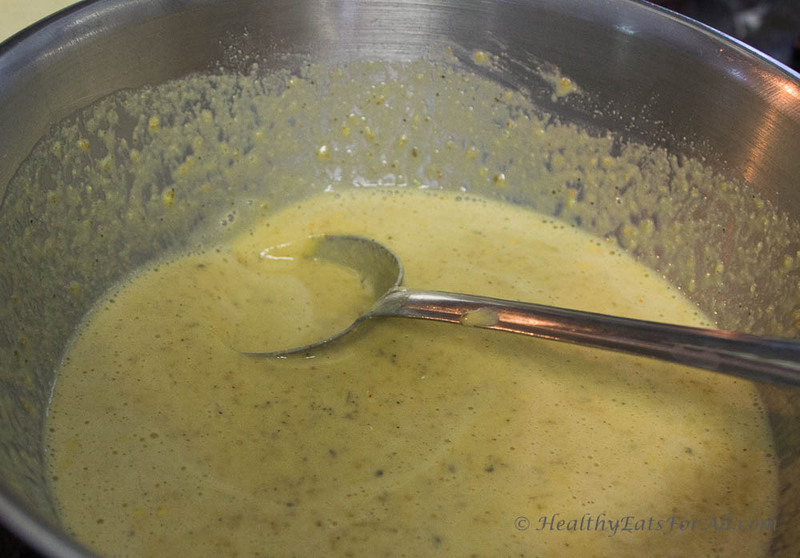 Once oil is also heated, pour a small ladle full of batter on it. 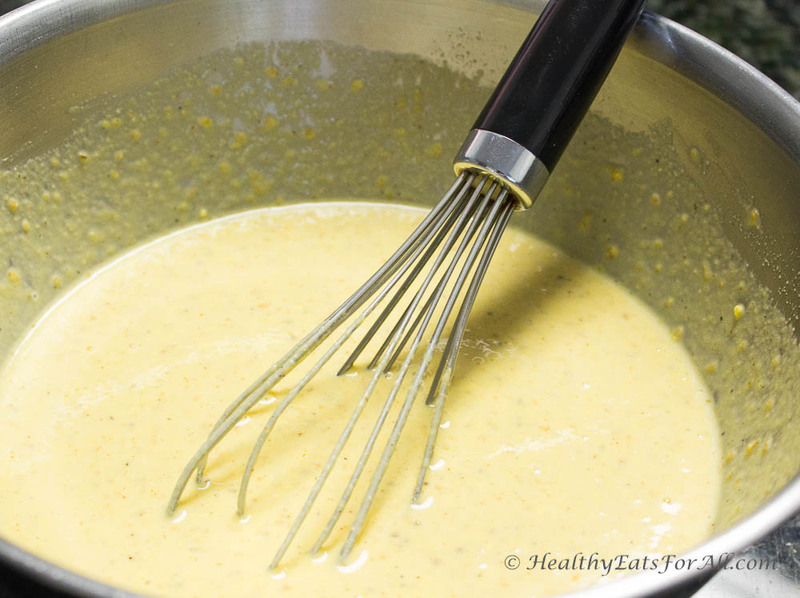 Use the back of ladle to spread the batter. It should spread to about a circle of 5” or so. Should not be very thick otherwise won’t cook properly. Wait for 30 seconds-1 minute or so till surface is bubbling and edges are darker. Then flip it with a spatula. Should be slightly brown on that side. Let the other side also cook for a minute or so till it is slightly brown. 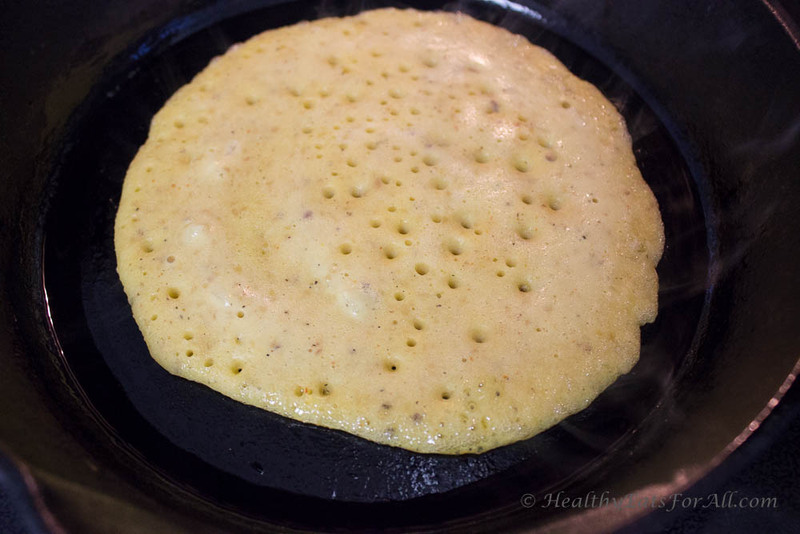 Your savory crepes/pancakes are ready to be eaten!